Today in Masonic History Cadwallader David Colden passes away in 1843. Cadwallader David Colden was an American politician. Colden was born on April 4th, 1769 in Spring Hill, Queens, New York. He was educated by private tutors before having a more traditional education in Jamaica, New York and afterward London, England. He returned to the United States in 1785 and studied law. He was admitted to the bar 1791. Colden opened his first practice in New York City, New York before moving to Poughkeepsie, New York in 1793. Three years later he returned to New York City. In 1798 he became the Assistant Attorney General for the First district which consisted of Suffolk, Queens, Kings, Richmond and Westchester counties. He was the District Attorney in 1810 and 1811, which added New York county to the afore mentioned counties. In the war of 1812, Colden served as a colonel of volunteers. In 1815, Colden became the President of the New York Manumission Society. The society was originally formed in 1785 for the purpose of abolishing slavery in New York State. Colden is cited by some historians, along with others of finally getting slavery abolished in New York State, although that was not until 1827. In 1818, Colden was elected to the New York State Assembly. That same year he was appointed as the 54th Mayor of New York City by Governor DeWitt Clinton. He served as the mayor of New York until 1821. In 1821 he was elected to the United States House of Representatives where he served one term. 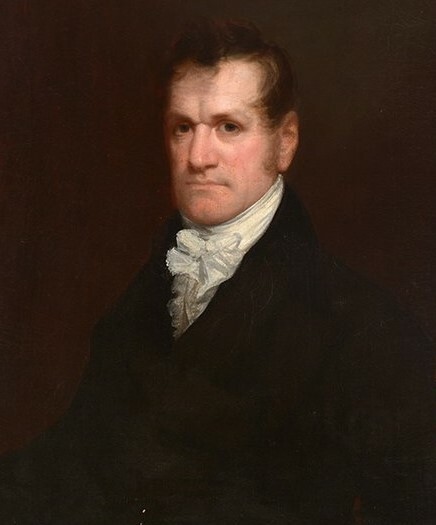 He served in the New York State Senate from 1825 until 1827 when he resigned. After resigning from the New York State Senate, Colden moved to Jersey City, New Jersey where he oversaw the completion of the Morris Canal which connected the Delaware River with the markets of New York City. Colden was a strong advocate of a greater canal system with the United States. In 1825 he wrote a book, commissioned by the Common Council of New York, about the Eerie Canal called Memoir, Prepared at the Request of a Committee of the Common Council of the City of New York, and Presented to the Mayor of the City, at the Celebration of the Completion of the New York Canals. The book included lithographs and information about the "Grand Canal Celebration" in New York City. Colden passed away on February 7th, 1843. Originally buried in New Jersey, his remains were moved in 1845 to Trinity Church Cemetery where his grave site overlooked Bloomingdale Road (now Broadway). By 1869 Broadway was being widened and Colden's remains were moved again to a less prominent grave. They were forgotten until, in 2011, his grave was "rediscovered" by a local historian. Colden was a member of Clinton Lodge No. 453, Brooklyn, New York and Albion Lodge No. 31, New York City, New York. He was the Grand Senior Warden of the Grand Lodge of New York from 1801 to 1805 and again from 1810 to 1819. After the Morgan Affair when anti-masonic sentiments began to rise, Colden denounced Freemasonry for political gain, it did not allow him to win the office of Governor of New York.